Perhaps you would like to tie the knot in our capital city, Vienna, or one the other historical cities like Salzburg or Innsbruck? Maybe you would like to say "yes I do" in a popular destination in the Alps, like Kitzbühel, Zell am See or Mayrhofen? Perhaps you would prefer the picturesque lake district, well-known from the movie "The Sound of Music"? 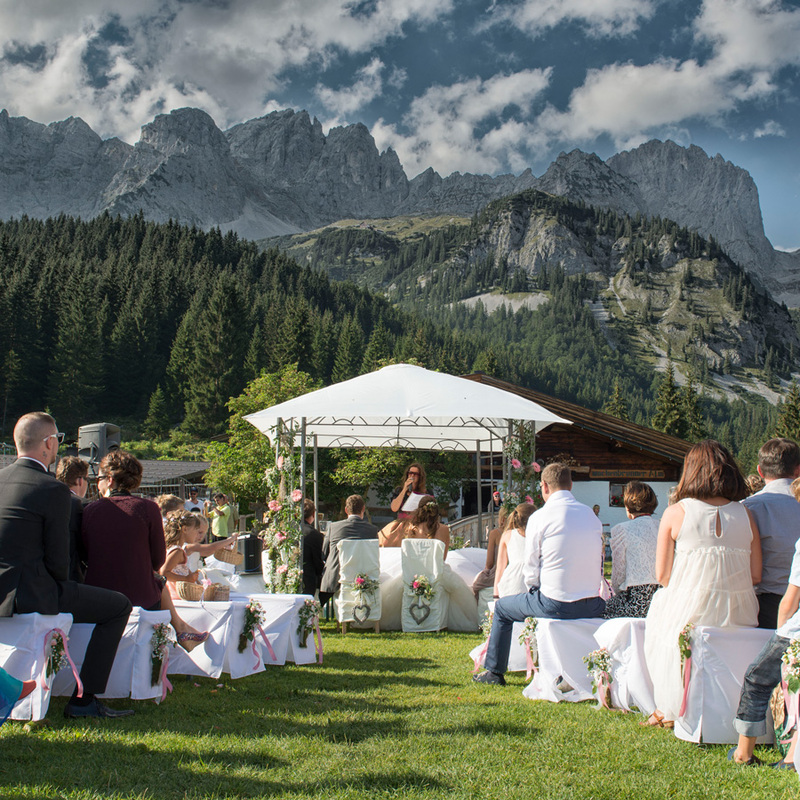 In association with our various local wedding planners throughout Austria, Austria Direct Weddings can offer some unusual and exotic locations for those wishing to spend a little more than average. Please remember - we cover all main destinations in Austria!!!! Here is a list of the most popular spots for your destination wedding. Click on the destination name for more details. Vienna, Austria's capital, offers you lots of different venues for your wedding. You can have your civil ceremony at the stone hall in the City Hall, or Schoenbrunn Palace, at Belvedere Palace, in the Hofburg, or on the famous Ferris Wheel before a horse and carriage brings you to a picturesque backdrop to take some great wedding shots before you reach the venue for your wedding meal. Salzburg, the city of Mozart and The Sound of Music. Exchange your vows in the Marble Hall of Mirabell Palace , in the beautiful Mirabell Gardens in the centre of Salzburg. Described as "perhaps the most beautiful Registry Office in the World", couples come from all corners of the globe to get married here. Or at Schloss Leopoldskron, where the Sound of Music was filmed. 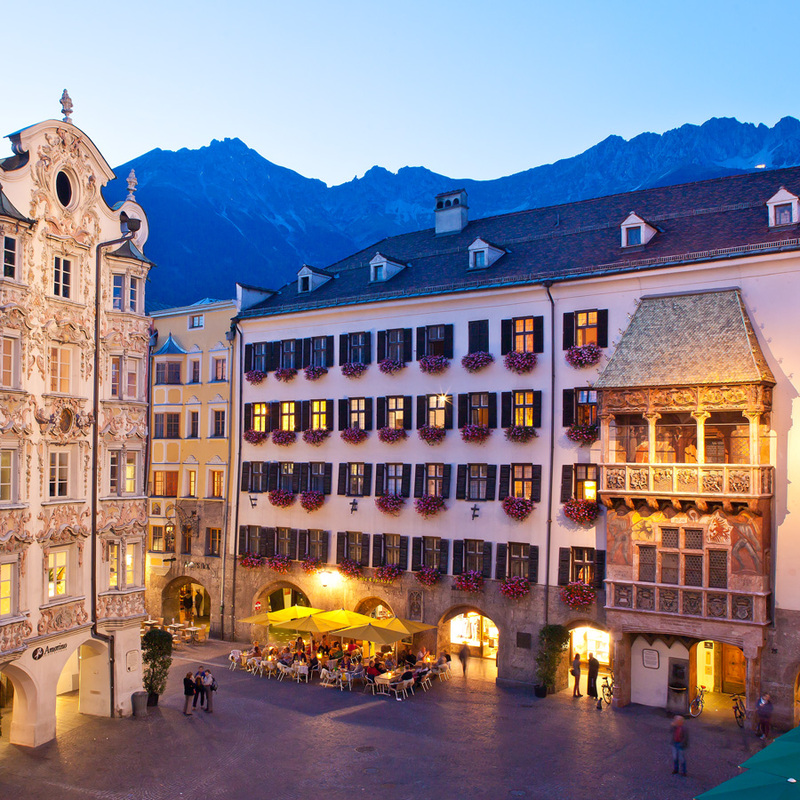 Innsbruck. The main registry office is located under the famous "Golden Roof" but other locations like Congresspark Igls, Hafelekar or Nordkette are available as well. A great combination of Austrian charm, traditions, stunning countryside with green fields, forests and clear waters, meadow hills and rocky mountains which are perfect for skiing in winter and hiking and biking in the summer. Your guests will be overwhelmed with emotions when they arrive at your wedding venue with breath-taking views, friendly Austrian staff in their traditional Lederhosen and Dirndl and maybe the soft and calming sound of cow-bells. Filzmoos, Kitzbühel, Lech, Leogang, Maria Alm, Mayrhofen, Obergurgl, Seefeld, Söll and Zell am See/Kaprun. All of these destinations are, of course, available for both summer and winter weddings!!! Very popular with couples from the UK and USA is the famous cathedral of Mondsee, where Julie Andrews playing Maria married the Baron von Trap. 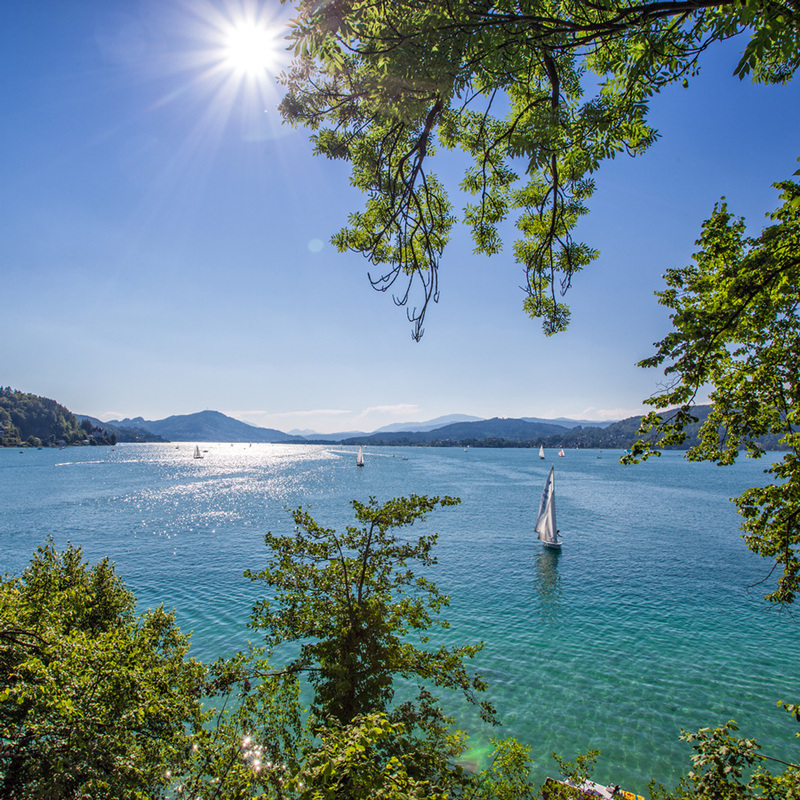 Traunsee is one of the most stunning lakes in the lake-district of Salzkammergut. Surrounded by mountains, Schloss Ort is a popular wedding destination and is set on a promontory into the lake and approached across a wooden bridge. The celebratory drinks after the civil ceremony are often served in the courtyard, whilst light lunch facilities are available both here and in the nearby Toscana Park and Villa. Wolfgangsee – as well one of the 76 lakes in the region of Salzkammergut - offers the famous hotel and restaurant, Weisses Rössl in St. Wolfgang. Another option is to enjoy the marriage ceremony, or a Champaign reception followed by coffee and wedding cake, on one of the boats cruising on the lake. 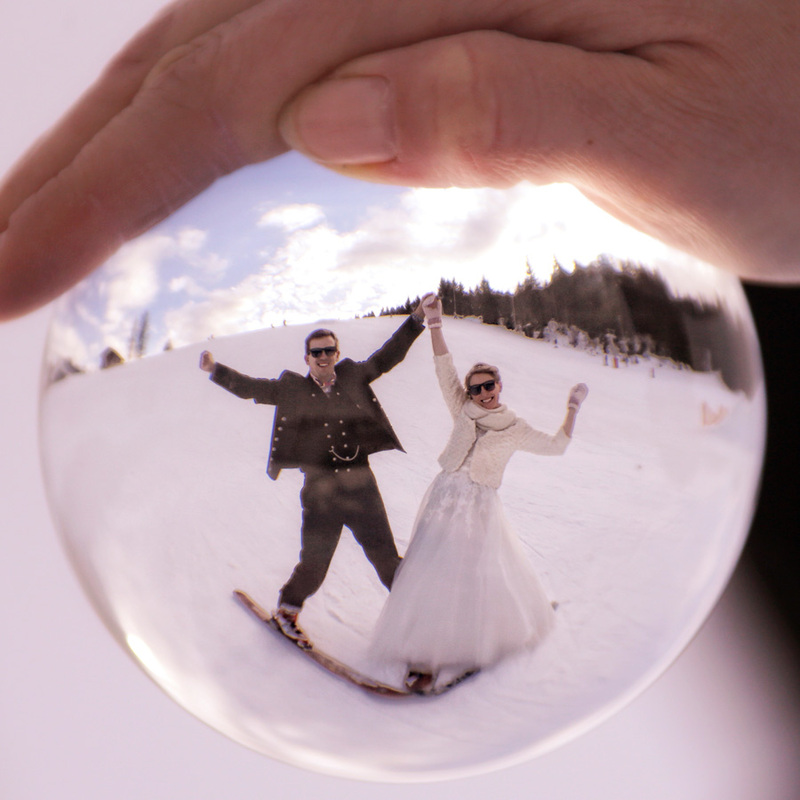 Winter wonderland & ski weddings can be hold in most of the popular ski resorts in Tyrol or the state of Salzburg and Arlberg. Enjoy the beauty of the Austrian Alps. A sublime backdrop for a winter wedding that is truly memorable. Skiing with your loved one, warming by the fireside in a mountain hut, captivated by breath-taking views, champagne as you travel by cable car, romantic walks and horse-drawn sleigh rides through a winter wonderland.